We at Priory Farm Equestrian are proud to announce we are now a distributor of Forever Living Products. 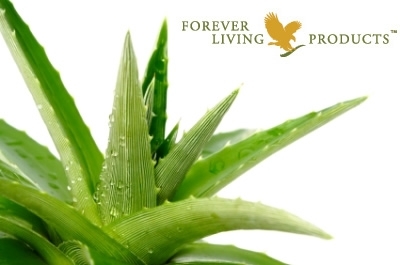 Forever Living Products are the worlds largest grower, manufacturer and distributor of Aloe Vera products worldwide. For over three decades, they have dedicated themselves to seeking out nature’s best sources for health and beauty and sharing them with the world. With a commitment to quality and purity, they are passionate about helping everyone around the world look and feel better. Aloe vera flourishes in warm, dry climates, and many people mistake it for a cactus, but, in fact it is a member of the lily family. It stays moist when other plants would wilt and die by closing its pores to prevent the loss of moisture. There are over 200 varieties of aloe, but it is the Aloe Barbadensis Miller (aloe vera) plant which has been of most use to mankind due to its beneficial properties. Ancient records show that the benefits of aloe vera have been known for millennia. Its therapeutic qualities have been used for more than 5000 years. Greek and Roman physicians used it to great effect as a medicinal herb. Egyptian queens used it in their quest for physical beauty. Aloe plants are also referred to in the Bible, and legend suggests that Alexander the Great conquered the island of Socotra in the Indian Ocean to make a supply of aloe plants available for his wounded soldiers. However, the advent of documented medical science in the western world, and the power shift towards more temperate climates led to a decline in the use and availability of aloe vera. Body Detox - Aloe vera juice is crammed full of amino acids, vitamins and minerals making it one of nature’s most effective cleansers. It can help strengthen digestion and rid the body of any nasty waste, thus detoxifying the body naturally. Its main property is to be soothing, cooling and moistening which helps to clear inflammatory and irritating heat, such as in menopause, plus inflammatory skin and digestive problems, such as acne, rosacea and IBS. Supports Immune system -Aloe vera is packed full of immune-boosting polysaccharides which help the immune system to behave properly. Too much inflammation in the body can cause problems within the immune system and can cause conditions like asthma, eczema and Crohn’s disease. Soothing herbs like aloe vera juice can slow the inflammatory cascade and help reorder the immune response to prevent these conditions. 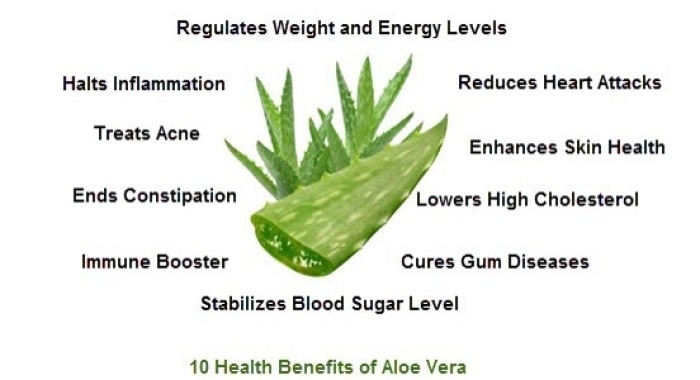 Lowers Cholesterol and Blood Sugar - There is some evidence to suggest aloe vera lowers cholesterol and has a positive effect on blood sugar levels, meaning it can be useful for treating diabetes and obesity. Excellent for Digestion - Good for anyone who suffers with digestion problems like IBS. Its healing and soothing properties can help with the painful symptoms. Mineral and Vitamin boost - Aloe vera juice is packed with vitamins A, C, E, B1, B2, B3, B6, B12 and folic acid. It’s also rich in minerals like calcium, magnesium, zinc, iron, selenium and potassium. Sounds pretty good, right? Can Aid Hair Growth - Full of natural vitamins and enzymes that can directly promote healthy hair. Good for Burns, Acne and Skin Hydration - When used topically aloe vera can soothe inflamed skin and enhance collagen and hyaluronic acid to help rejuvenate skin. 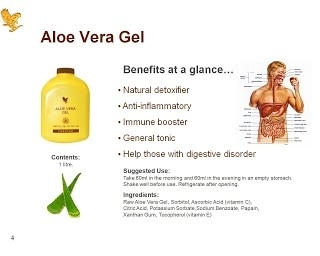 The above are just a few benefits that using Aloe and Forever Livings Products can provide. The purity of Forever Livings products mean the benefits are easier to obtain when compared to other aloe products on the market. The purity is down to the process's that the plant goes through to be turned in to one of these products. For more info please click on the "About Forever Living" button above. Who can use Forever's products? Forever living products arn't just for people. They are safe for animal use aswell. As they do not have any unsavoury additives and the process of producing these products is very natural which means these are free of many allegens. Their products are also safe for Vegetarians but unfortunately not Vegans. The Vitamin D content in the products is derived from sheep's wool. If you are not satisfied with any item, simply return the receipt to you Forever Living, together with the unused part of the product or empty containers, within 60 days of the date of purchase, and we will refund the price paid. Products, Where and How to Buy? The products as well as all the details on the products including presentations, e-magazines ect... can be found on the links below. Products can also be purchased direct through ourselves simply just by contacting us through the "contact us" page. Thinking of becoming a seller? What the chance to work for one of the worlds growing business whilst being your own boss with your own hours? Then why not join the team? If you would be interested in become a Forever Living seller and part of a strong growing team check out the links below or contact us today and we will be happy to talk to you.